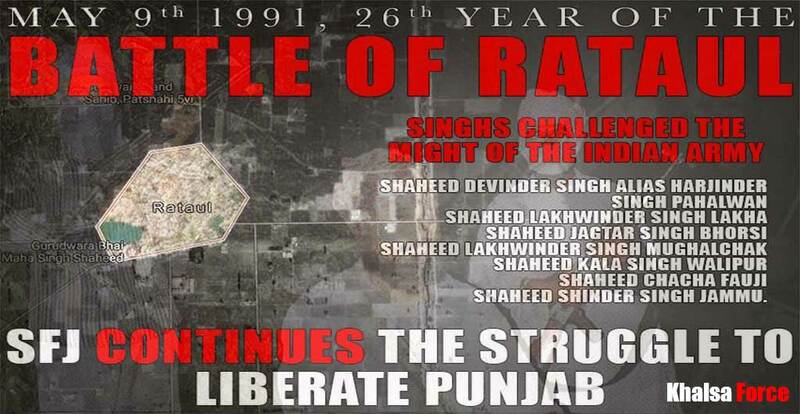 One of the most famous battles in the history of the modern Sikh Movement took place in the village of Rataul. Baba Manochahal and some companions were staying in this village when it was cordoned off by the police. One Singh was resting a house, different than the one being used by Baba Manochahal, when the police entered. The Singh entered an underground bunker. The police became suspicious since a set of muddy foot prints could be seen leading to a corner and then mysteriously disappeared. When they went to the corner and moved a drum of flour, the entrance to the bunker became visible. Right away, the Singh inside opened fire and dropped the entire group. The cowardly Indians began to run in different directions and the Singh managed to escape from that house. 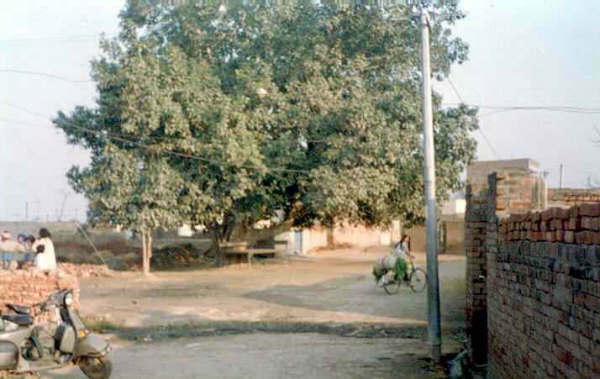 Word was sent to Baba Manochahal that the village was surrounded and he should escape. Baba ji along with his body guard broke the cordon and escaped. Inside the village, 7 Singh’s gathered at a house where they had made a concrete bunker. They had decided to show the police what a real encounter was like. The army along with police divisions from Amritsar, Gurdaspur, Tarn Taran and Batala surrounded the area. 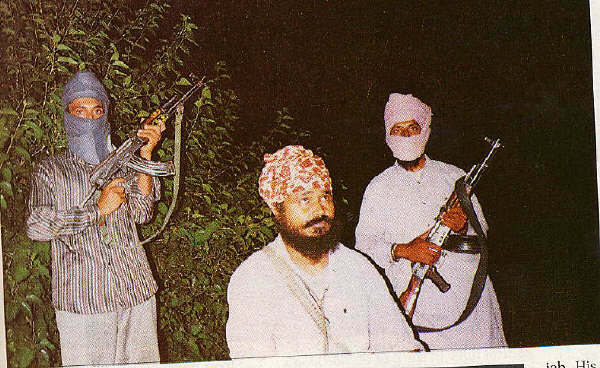 The Singhs were well armed and had sniper rifles as well. A DIG of the police was trying to lead his men and give them courage to fight when the Singh’s shot him dead. The loss of such a high ranking officer demoralized the already scared troops. 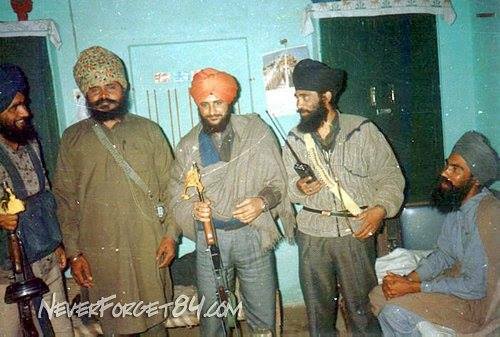 The Singh’s continued to bellow Jaikara from inside the bunker as they fought. Police officers attempted to pick up the body, but each time were forced to retreat under fire. The body lying there continued to demoralize them. The Singh’s fought for a total of 72 hours. The Security forces had lost so many men that it could no longer stand to fight anymore. They ordered a helicopter and had the bunker bombed. The seven Singh’s were all Shaheed but showed they showed the world that Guru Gobind Singh’s words “Sava Lakh Say Ek Laraaoo(n)” are still true. The eighth killed by the security forces was Mazhbi Hazara Singh (about 80), a handicapped old man who had nothing to do with militancy. One of the most famous battles in the history of the modern #Sikh Movement. Video – Brave Bus Driver Recalled How He Saved 76 Lives In Gurdaspur.